Nothing beats a classic wooden toy. 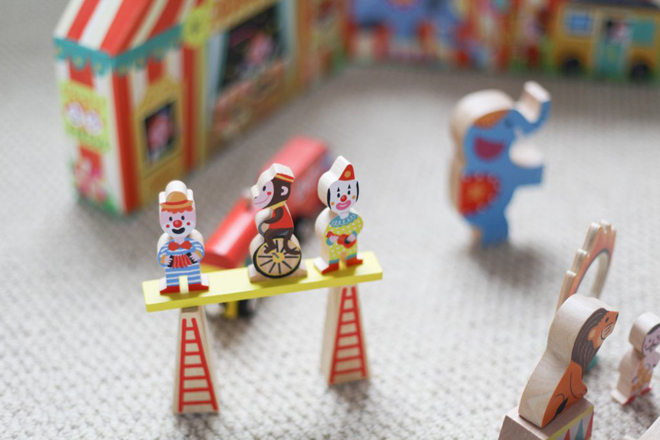 Wooden toys are known to be much more durable than their plastic counterparts, and can be handed down through the generations. While this style of toy may be dying out, there is definitely a devoted group of toy makers working hard to keep it alive. We carry great wooden toys from brands like Haba, Plan Toys, Janod and more. All made from durable wood, and using non-toxic paints so babies can feel free to touch, chew and play to their hearts content! Shop our entire selection of wooden toys below.